matters, and people should know your story. 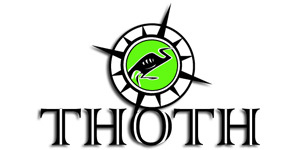 Thoth Communications, Inc. is a full service government affairs, public relations and marketing ﬁrm that has served public, private and non-proﬁt organizations since 2001. As the gateway to people, information and ideas, we take a customer-driven approach to providing data-driven and research based communications strategies to diverse businesses, organizations and private entities. Our approach is simple yet focused on providing unique and innovative solutions aimed at your target audience. As a small company we are flexible and work in partnership with our clients to build strong and lasting relationships. Our team comprises of public relations, design and marketing specialists. We work in tandem to develop dynamic public relations and marketing strategies which include digital and social multimedia solutions.